It's been a tough time for Aviva with CEO Andrew Moss forced to step down in a shareholder revolt. 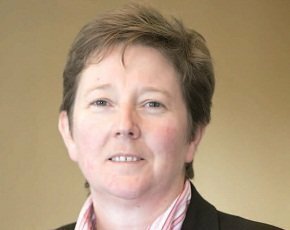 But for CIO Cathryn Riley, it’s business as usual. It has been a tumultuous month for Aviva’s top brass, with former CEO Andrew Moss being forced to step down amid a shareholder revolt. But for the insurance giant’s CIO Cathryn Riley, it is still very much business as usual. Riley has worked at Aviva in various roles for 16 years and was appointed CIO in 2011. Needless to say, the role of IT has evolved a lot during that time, and Riley is eager to put Aviva at the centre of technological change. “I have the aspiration that Aviva can become a digital insurer. At its heart, insurance is about a promise and a piece of paper. Well, that piece of paper can now be translated to digital,” she says. Riley believes IT is moving from its traditional emphasis on technology towards a greater focus on information. “The challenge now is the explosion of unstructured, publicly available data,” she says. “We have always been about data and information and utilising it in terms of underwriting and rating and so forth. But predominantly we’ve been around structured data. I think the whole explosion of data has made that a huge science,” says Riley. Consumer expectations are also rapidly changing, with people now buying their travel insurance via an app in the airport, she says. “If you are not really understanding the rate of adoption of mobility, if you are not getting into the big data and analytics space and not engaging in social media, then you are missing the potential creation of business value through IT,” says Riley. Aviva has been piloting products and propositions around the convergence of mobility, social media and analytics. “We have a travel app piloted in Singapore, for example, because people tend to travel more in that country than others, so it’s a great way of testing the market. Product testing is also underway in the UK. "One [centres] around telematics and seeing if we can influence customer behaviour through having a device while they are driving. We are also doing internal testing around collaboration, improving networking, sharing best practice,” says Riley. The company has also rolled out iPads among its risk surveyors and apps for its broker salesforce. Both have been live for several months now. However, it is not just about the flashy iPads, she says. “Digital use of technology around analytics and segmentation is fundamental to our business. “We are at the forefront of things like the cloud and have a number of applications on it. For example, our HR [human resources] systems are run on a single global system off the public cloud through Workday. Our intranet is also run off the cloud. Although the company’s IT estate stretches across multiple sectors and geographies, there are opportunities to drive down costs through consolidation. “There is an increasing ability to simplify the business and the IT underneath it – that’s something on many a CIO's agenda," says Riley. “There are certainly components common across the piece, and areas you can make common. HR, applications, testing, document management, for example – and the ability to extract, mine and manipulate data. We have to learn to love simplicity, in the same way as we have perhaps loved complexity in the past. “Because there is no doubt the pace of change is exponential, and agility is one of the things that will drive competitive advantage and is one of the things that is IT enabled. We have to do the magic of delivering things faster, cheaper and better, and I think there has never been a better time, because things like cloud and mobility give you some of those opportunities,” she says. The company has a mixed model, working with a number of partners. For example, its datacentres are outsourced, but it still has around 5,000 IT staff globally and roughly 3,500 in the UK – the company’s biggest market with around 24,000 staff. Riley is passionate about the need to keep its own staff refreshed and values training and development across the company. But, like most insurance companies, Aviva has a lot of legacy systems. "It’s tempting to get wrapped up in the shiny new technology, but the people who have huge experience [are looking after those systems], which is very important,” she says. Riley is positive about the increasing importance in which technology is being viewed. “There is never a better time to be in IT. The opportunity for a CIO and IT folks to move from being in the back office to being part of the value driver of an organisation is fantastic, as is the current rate of innovation," she says. “Certainly my appointment a year ago was the first time we had IT on the group executive committee, and I have now expanded my role which adds shared services to my IT and business change remit. I think it is recognition that IT is so fundamental to our business and it’s never been more important." With several high-profile CIOs making the jump to CEO, such as Tesco’s Philip Clarke, could chief executive be the next move for her?